There is nothing like making your own music and at Music City we have lesson programs for a variety of ages and playing styles. From children to adults there is a level and program type to fit your needs. You now can learn from the ground up how music works in a fun environment which capitalizes on technology and interaction. Special workshops are offered from time to time that allow you to expand your musical horizons! Don't put off the joy of music making any longer. Stop by, call, or email for more information and current class schedules. "If you can use a mobile phone you can play piano!" So says Jools Holland, and here he explains how, upon hearing his Uncle Dave play boogie-woogie, "the whole chaos of the universe became ordered". He also discusses his inspirations, his obsession and passion for the piano, and explains why you should, "Play what you love and love what you play". Jools also offers invaluable and inspiring advice for budding players and describes why it makes sound sense for lapsed players to return to playing in later life. 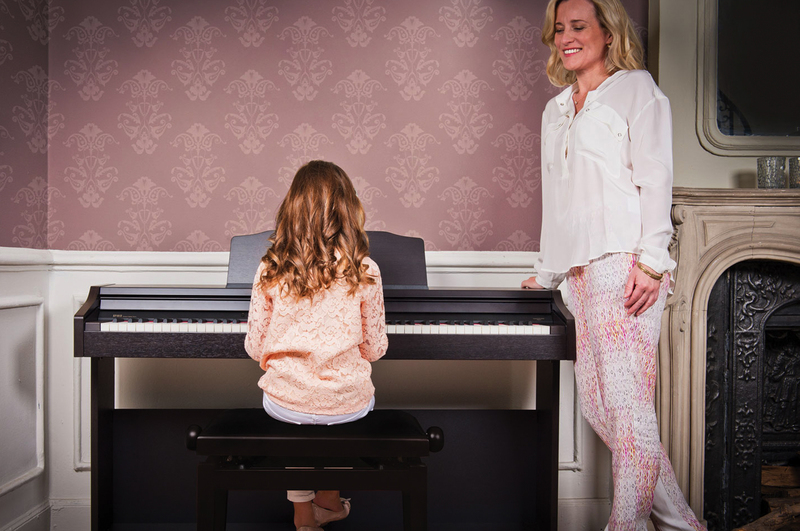 ﻿We offer an easy way to “test the water” when beginning piano lessons. Rent a top quality Roland Digital Piano for only $50 per month. As a bonus, your rent is applied towards the purchase of an instrument! Restrictions apply, details available at our showroom.